Tired of wasting your breaks filling out endless application forms online? When you register with The Retail Appointment, you get access to the latest retail jobs as soon as they are online – all tailored for you and sent straight to your inbox. What’s more, when you upload your CV, you can save even more time by letting employers find you with no effort on your part at all! So make the most of your lunch. 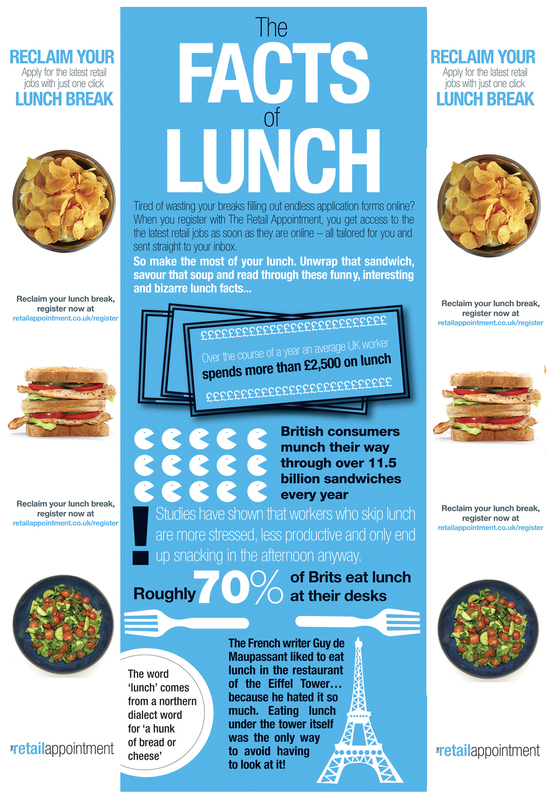 Unwrap that sandwich, savour that soup and read through these funny, interesting and bizarre lunch facts... and register here so your next retail job can find you.